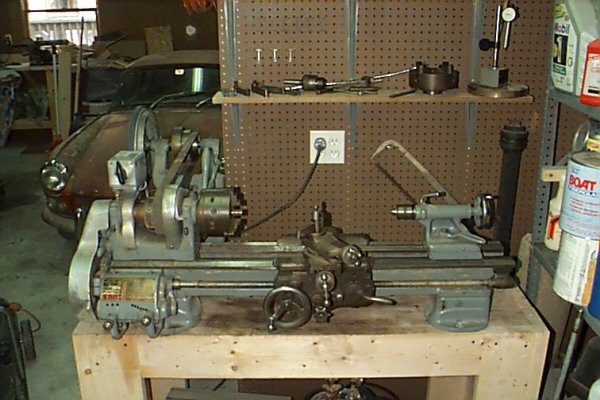 Friend of mine gave me an old Sounthbend 9" lathe. Had a local elder gent come by who was in the Southbend lathe business to give me a quote for some parts for it. He replied with "I've never seen one that old before, I think it could be a museum piece." He ended up having a this really nice one laying around for a good price complete and operational and I was also able to barter some of the price down more with the exchange of some tools I wasn't using. I've since gone completely through the lathe by cleaning and painting it and adding a quick change tool post ( highly recommended ). Only complaint, I would really like to make it direct drive and not have all those belts taking up room and flying around in the back.